Leica M10 to be announced in May? On May 10th... get it? Is a successor to the Leica M9 going to be with us on May 10th? A leaked invite for a Leica invite taking place in Berlin has led to speculation that the premium company could be about to unveil a Leica M9 successor. Revealed on the Steve Huff Photo website, the invite shows the date as May 10th, which could be a rather twee way of revealing that the M10 is just around the corner. It wouldn't be the first time such a thing had happened, the M9 was announced on the 9th September, 2009, or 9/9/9. The invite also says that a "whole range" of product launches will be revealed, so perhaps we will also be seeing an upgrade to the X1, Leica's compact model. 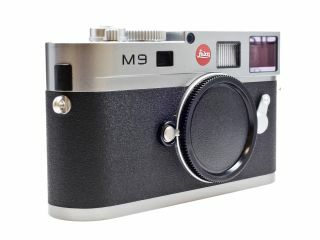 The Leica M9 is the world's smallest full-frame interchangeable lens camera, and comes with a £5,000 premium price tag. Recently, Fujifilm appeared to be taking on Leica with its X Pro1, which is retro in style, but features a smaller, APS-C sized sensor. That said, in our lab tests, we found that the X Pro1 is capable of beating the M9 (and the Canon 5D Mark II and Nikon D700) so it will be interesting to see how Leica plans to take on the competition. Rumoured specs include a 24 million pixel CCD sensor. Kodak previously manufactured Leica sensors, but since selling off its sensor division, they have been made by the new owners, Platinum Equity. It has been suggested that new Leica cameras will use a Sony CMOS sensor. Sony is known for making sensors for other manufacturers, including Nikon, as well as having its own line of cameras.